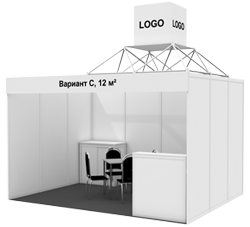 Standard stand is EUR 450.- per m2 + Registration charge EUR 350.- (6 m2 & 12 m2 stands). 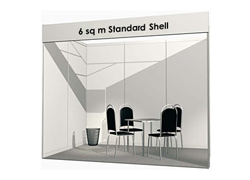 Standard stand - 6 m2 includes: back / side walls, lighting (2 lamps), power, 1 table, 4 chairs, 1 waste-basket, fascia panel(s). 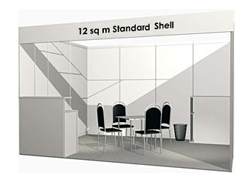 Standard stand - 12 m2 includes: back / side walls, lighting (4 lamps), power, 1 table, 4 chairs, 1 cupboard, 1 info-counter, 1 waste-basket, fascia panel(s). 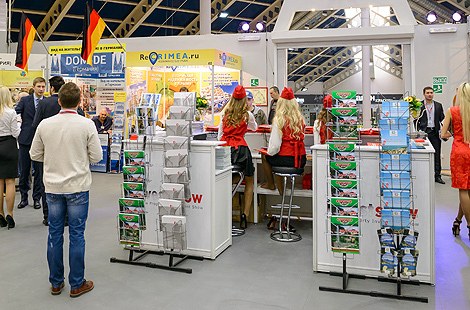 Stand with a cube is EUR 500.- per m2 + Registration charge EUR 350.- (6 m2 & 12 m2 stands). 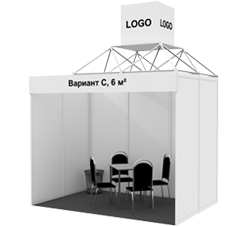 Stand with a cube - 6 m2 includes:	back / side walls, rotative lightbox cube with logo, lighting (2 lamps), power, 1 table, 4 chairs, 1 waste-basket, fascia panel(s). Stand with a cube - 12 m2 includes: back / side walls, rotative lightbox cube with logo, lighting (4 lamps), power, 1 table, 4 chairs, 1 cupboard, 1 info-counter, 1 waste-basket, fascia panel(s). Note: Registration charge EUR 350.- includes contact details and short company profile in the catalogue distributed among visitors, named badges, certificate of participation, stand cleaning, security. Internet access: EUR 20.- Compulsory payments. As an alternative type of participation we would like to offer you Mini Stand + TV, that includes: a dedicated LCD TV 42" showing your company presentation, info-counter and bar stool. If you do not have an opportunity to attend and communicate with visitors of the exhibition personally, we recommend you Absentee participation. It includes the presentation of your advertising printed materials and materials of other companies on the brochure stands. A member of our staff will monitor and ensure that there is a supply of your brochures. Whilst you are free to visit the show we cannot allow personal attendance with Absentee participation. 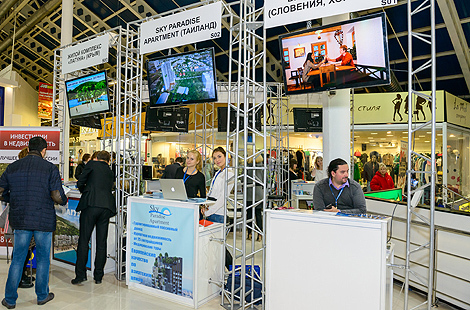 We look forward to seeing you at Moscow International Property Show!